ANNAPOLIS, Md. 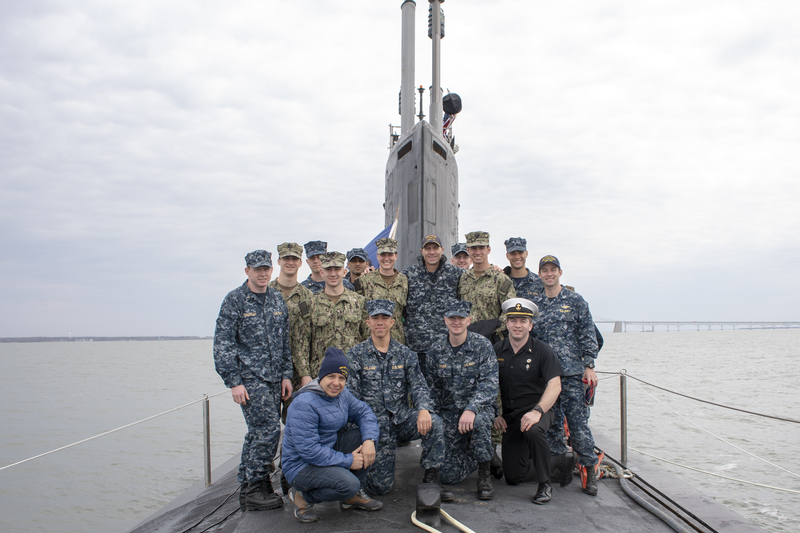 — Approximately 300 midshipmen from the United States Naval Academy toured the Virginia-class attack submarine USS North Dakota (SSN-784) Mar. 29-31. 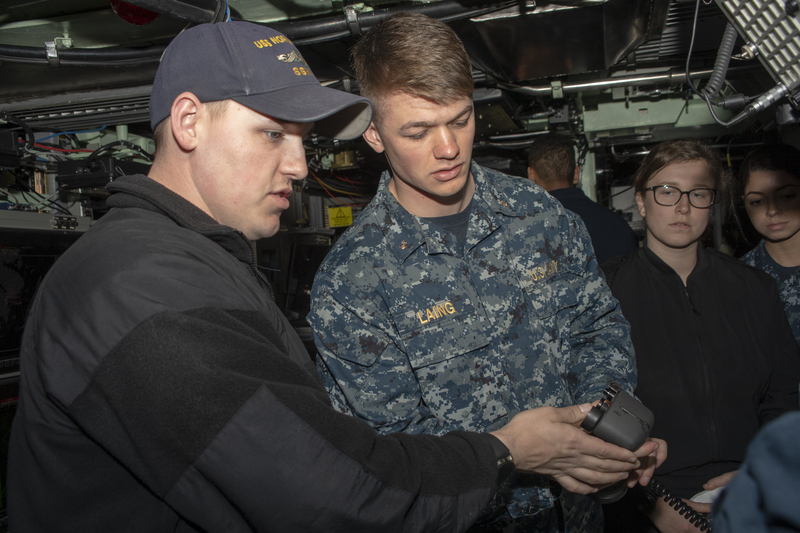 The tour gave midshipmen the opportunity to gain insight into the submarine community, which for some midshipmen can be the deciding factor when choosing between the surface and submarine communities. Capt. 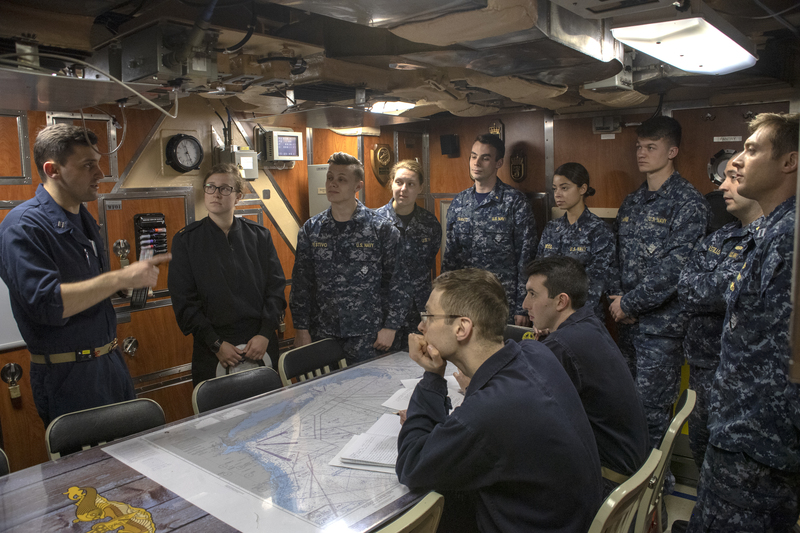 David Roberts, Division Director, Mathematics and Science and USNA’s senior submariner, said North Dakota’s visit to Annapolis was invaluable to midshipmen. 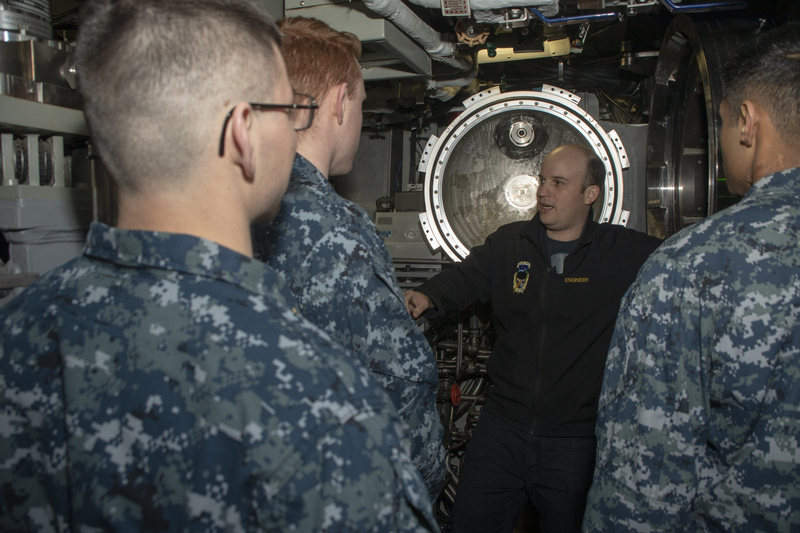 The Virginia Class is the Navy’s newest group of nuclear-powered fast-attack submarines. Vessels of this class feature the latest technology in stealth, intelligence collection and weapon systems. They succeed the Los-Angeles class of submarines, of which several have already been removed from service. Virginia Class submarines are expected to remain in service through 2070. 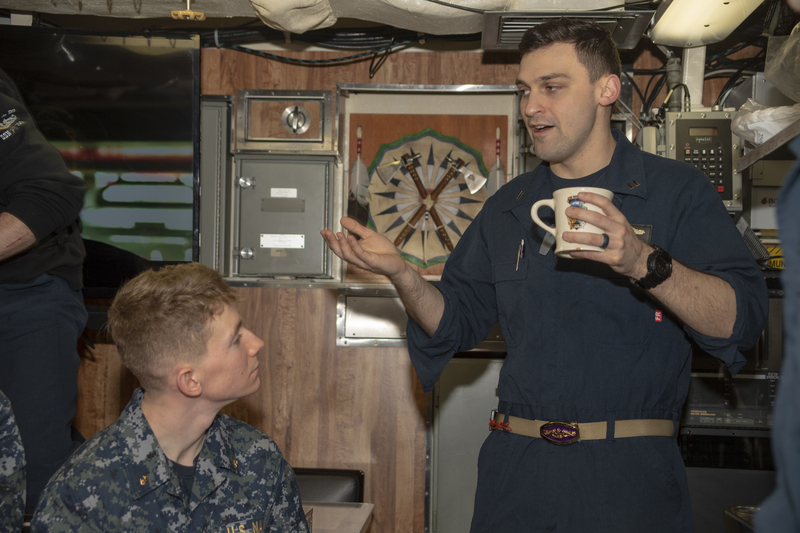 Additionally, the crew of North Dakota joined the officers, chiefs and midshipmen of the USNA Submarine Wardroom at a submarine birthday ball to celebrate 119 years of the U.S. Submarine Force. 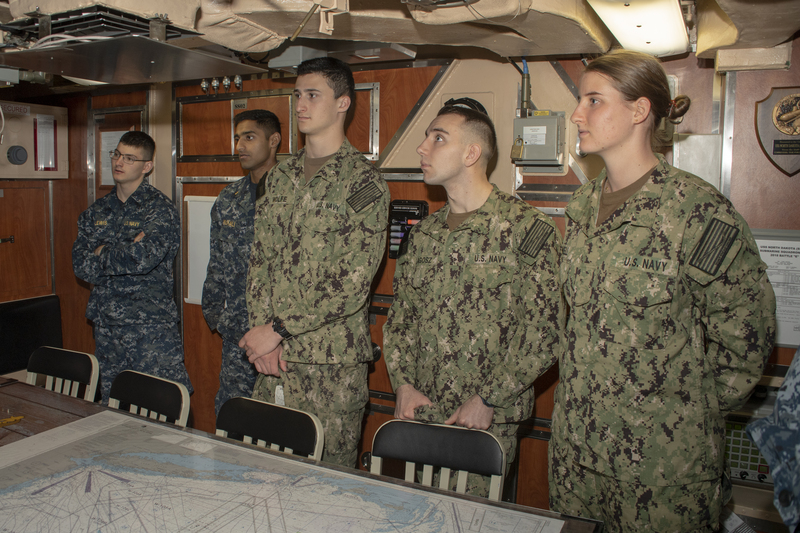 As the undergraduate college of our country's naval service, the Naval Academy prepares young men and women to become professional officers of competence, character, and compassion in the U.S. Navy and Marine Corps.